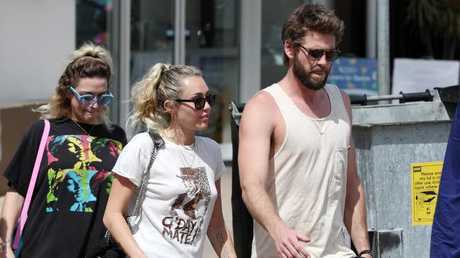 MILEY Cyrus and beau Liam Hemsworth have been spotted enjoying lunch with friends on the Gold Coast. 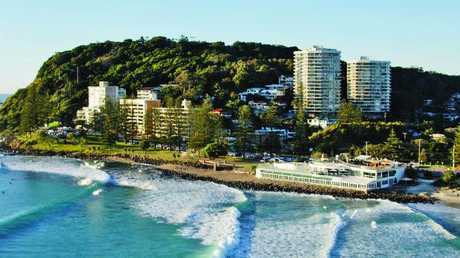 The star couple are believed to have dropped a hire car off in Southport before heading to beachfront restaurant Rick Shores, overlooking the ocean at beautiful Burleigh Point. Australian actor Hemsworth, who starred in The Dressmaker with Kate Winslet, will celebrate his 28th birthday on Saturday. Miley Cyrus, Liam Hemsworth and friends leave Rick Shores restaurant in Burleigh Heads. Picture: Nigel Hallett. Cyrus was spotted wearing her engagement ring and a wedding band - fuelling rumours the couple are already married. Miley Cyrus and Liam Hemsworth leave Rick Shores restaurant in Burleigh Heads on the Gold Coast. Picture: Nigel Hallett. The couple were dressed casually for their day out, with Cyrus rocking a G-day Mate T-shirt, shorts and slip ons while Hemsworth sported shorts, a singlet and thongs. Hemsworth and Cyrus, who he calls his 'little angel', enjoyed lunch with three friends at a table overlooking the beach. The couple have been on an extended break Down Under with family and friends in Byron Bay, including Hemsworth's brother Chris and his wife Elsa Pataky. 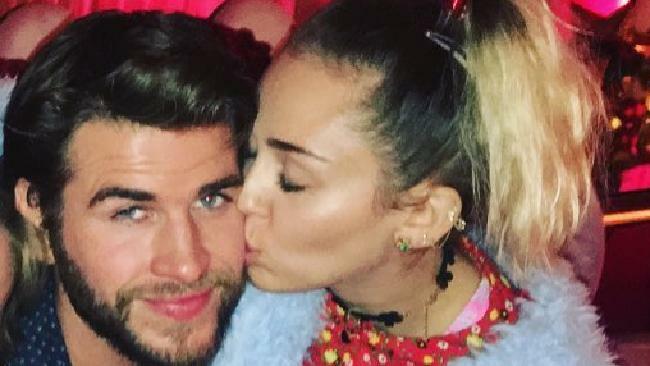 Miley Cyrus and Liam Hemsworth have been enjoying an extended break Down Under with family and friends. Picture: Nigel Hallett. Cyrus and Hemsworth dined out with Hemsworth's parents at Harvest Newrybar, in northern NSW, last week while Cyrus was also spied enjoying a shopping trip with Pataky in Byron Bay. Miley Cyrus and Liam Hemsworth are on the Gold Coast. Picture: Nigel Hallett.